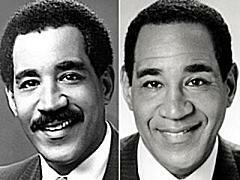 "For the final time, goodnight," Dwight Lauderdale told viewers at the end of WPLG-ABC 10's newscast Wednesday night -- and with those five little words, ended 35 years in South Florida television. A long goodbye that began in February, when the 56-year-old Lauderdale announced he would retire at the end of the May Nielsen ratings sweeps, was finally over. The farewell messages that have dotted WPLG's newscasts for the past month reached a crescendo Wednesday, with the final 21 minutes of the 11 p.m. program being devoted to collages of some of his memorable stories as well as so-long-pal messages -- both from colleagues and newsmakers like Gloria Estefan ("You are the only other man in my life for 32 years"). Lauderdale, who came to South Florida in 1973 to report for the station that's now WSVN-Fox 7, moved to WPLG in 1976 and started anchoring the main newscasts in 1985, said he never expect his retirement would trigger such an outpouring. "Frankly, I didn't realize you cared that much," he said as he addressed the cameras for the last time. He closed not with a lofty soliloquy on the future of journalism but thanks to those who helped him over the years, especially his wife Minnie. "Thank you for sacrificing a lot of the time we could have spent together," Lauderdale said. "Thanks for always putting the demands of my career ahead of yours." Turning to his partners on the set, Lauderdale promised: "Tomorrow night at this time I'm going to be home watching you." Retorted his laughing co-anchor Laurie Jennings: "Oh, sure you will. You'll be out having a nice dinner." Maybe a very liquid one -- as the closing credit rolled, Lauderdale was eying a four-foot-tall gift basket from his colleagues, stacked to the top with bottles of wine and martini fixings. I got back to 73 too and will always remember Dwight as a calm force in some very frenzied moments. The years of the cocaine cowboy when Miami was becoming Dodge City. He had that Walter Cronkite ability to give off calm in the midst of some pretty horrific and unsettling events. His character came through, as did Ann Bishops, solid and smart and empathetic. Soldidly rooted in the long term values of south Florida, and not caught up in the trendy hyper nonsense. In a word: dignity. I grew up watching Mr. Lauderdale. No one better than him. The most respected anchor on television here in South Florida. Wish we had more people in the news business like you. We will miss you. Good luck and enjoy your time with your family and friends. For me, there has never been a better news team with more chemisty than Dwight Lauderdale and Ann Bishop. They said the standard for news reporting. I wish you all the best. Enjoy your retirement. As a young black man growing up in S. Florida in the mid 80's, Dwight Lauderdale was a great role model and someone that I enjoyed watching the way he told the news. He will forever be ingrained in my mind as the first Black anchor I've ever seen. Good Luck DL! Happy Retirement. I remember Dwight from the very beginnings... time flies! It has been one fantastic career and TV News will not be the same, yet his presence and style has left a legacy for the upcoming broadcasters in South Florida. Dwight, blessings to you and your family! Dwight is a racist and i am happy he is retiring so people won't see him again in the public eye. He should have done it years ago. Local 10 is a clean station now and it is great that we have someone like Laurie and Charles to broadcast the news now. Now they will have more ratings!!!!!! It has been great watching you on the newscasts for the past 30 some years. I was in high school when you started in South Florida and have learned a lot from you. Don't listen to idiots like the one who kept posting above. This town is full of jerks like that! Dwight was a fine anchor. I respected and trusted him. And I agree with the other commentor that he and Ann Bishop were a great team. I wish him all the best and hope he knows how much he'll be missed!